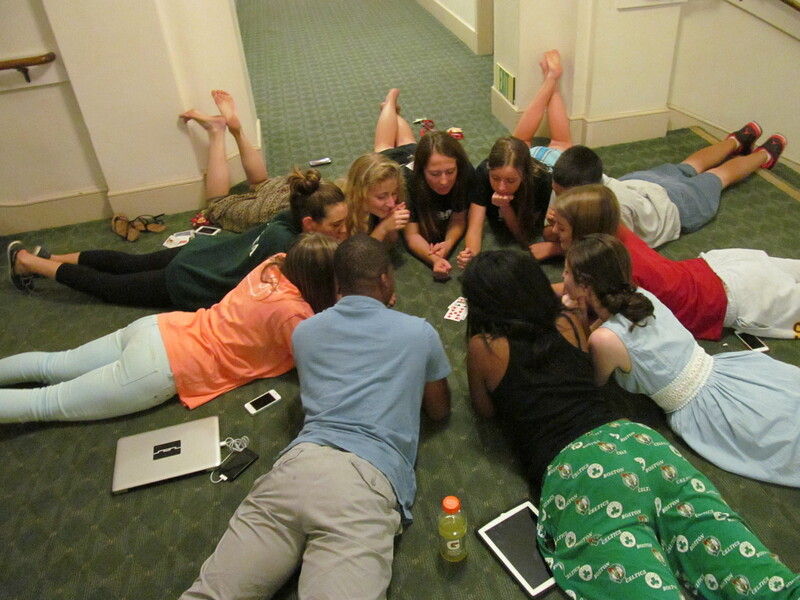 New friends play a game of cards in the hallway of our Stanford dorm. After a long day of orientation and brainstorming themes with their team leaders, students enjoy relaxing together. The fun is just beginning! We received more early signups for Newsroom by the Bay this year than in previous years. So, to students who applied, were accepted and paid by Feb. 20, thank you! We also want to say that it’s not too late to apply and reserve your space for our Summer 2015 session. We accept qualified students as soon as applications are complete. Students then have until April 1 to pay, though we set aside spaces as soon as payment is made. At this time, approximately half of our 40 residential spaces and half of our 20 commuter spaces are reserved or in process of payment. So if you’ve set your sights on studying digital journalism with us at Stanford University, now is a great time to focus on your application. Don’t delay — apply to Newsroom by the Bay!